Haunted Halls: Fears from Childhood is another game newlyreleased into the hidden object adventure genre. The game tells you the story that you should have heard so many times if you played enough games of this genre. I understand that this particular genre welcomes creepy stories, but there is something wrong about horror stories about children. The hidden object levels are quite challenging even if you choose the easier mode. Okay, maybe I do exaggerate and the game doesn't go overboard in its story, but it is still a mystery why someone would enjoy watching children suffer. The game takes you on a journey of confronting a villain that created a world where children live out their worst fears. Dr. Blackmore is an actopus-human mixture full of many evil plans. You get into his realm through some kind of a portal and then you try to find every clue possible to destoy him and his work. 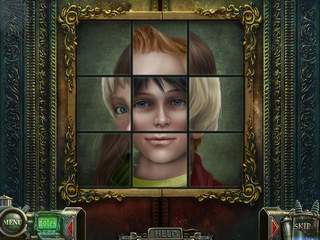 The game is made up of three basic parts: hidden object levels, random puzzles, and interactive adventure. 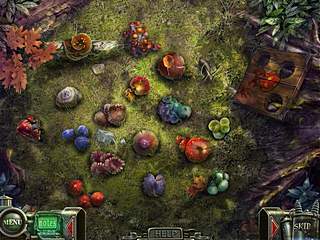 The hidden object levels are quite challenging even if you choose the easier mode. It is not one of those games where you can just click on random items and find almost everything on the list. The hints are available there but it takes quite a while for them to recharge. The items on the list include also those that require a combination of two items or some action. The scenes are cluttered but most of the stuff actually belongs. The puzzles are all familiar but the fact that you have to find or do something sometimes to even begin to solve them makes it more enjoyable to play them. As to the interactive adventure part, it have a lot of inventory to find and use afterwards as well as many characters to meet and interact with. The game looks and sounds great in general, but there is still a feeling that some details could be more polished. But that doesn't make the game bad. The characters are voiced and the graphics are detailed and animated. Despite the minor flaws the game is still good to help you relax and kill a few hours. This is Haunted Halls: Fears from Childhood review. Download this game here.